Pope Francis has been a consistent advocate for refugees. 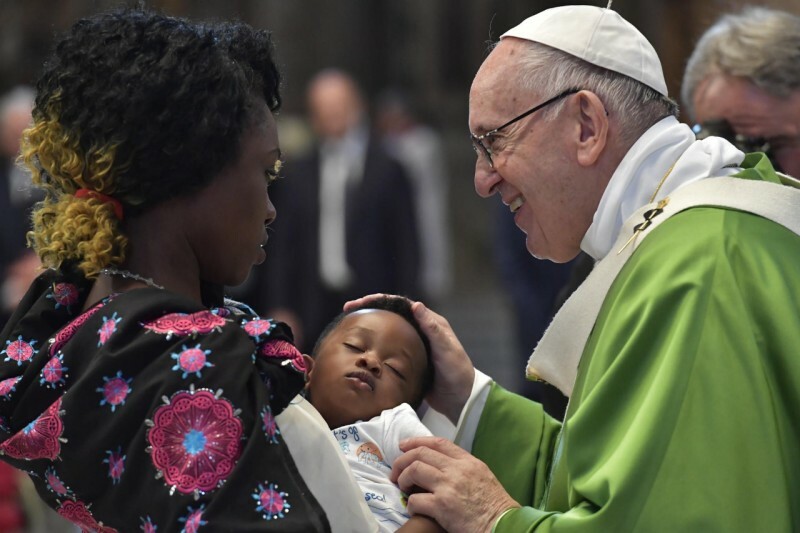 He celebrated a special Mass for migrants on July 6, 2018, at St. Peter’s Basilica. In his homily, the Holy Father called for treating migrants as Jesus had treated the poor and disadvantaged but also stressed that migrants ought to be properly integrated. Migration and Refugee Services (MRS) fulfills the commitment of the U.S. Catholic bishops to protect the life and dignity of the human person. For more than 50 years, MRS has served and advocated for refugees, asylees, migrants, unaccompanied children, and victims of human trafficking.